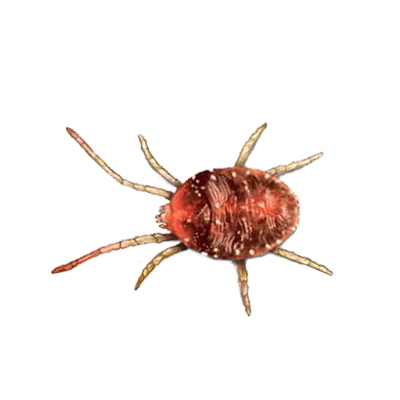 Clover mites are small mites with long front legs that look like red specks that crawl on brick, decks, doors, windows, siding, furniture, etc. They are no bigger than the head of a pin. They leave a red stain when squished. This is their coloring, not blood. They feed on grasses, clovers and plants.